& 1 1/4 cup of buttermilk. Let stand of 10 minutes. 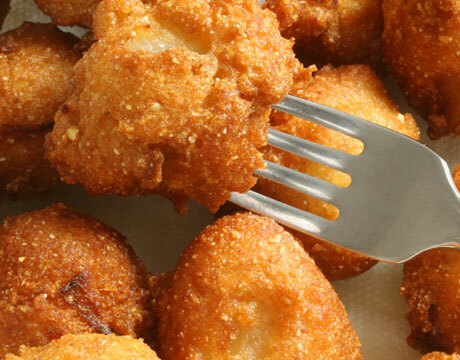 Drop batter by rounded tablespoons into hot oil and fry about 3 minutes on each side until golden. Keep warm in a 195 degree oven until ready to serve. This entry was posted in Misc by Modern Mom Meals. Bookmark the permalink.